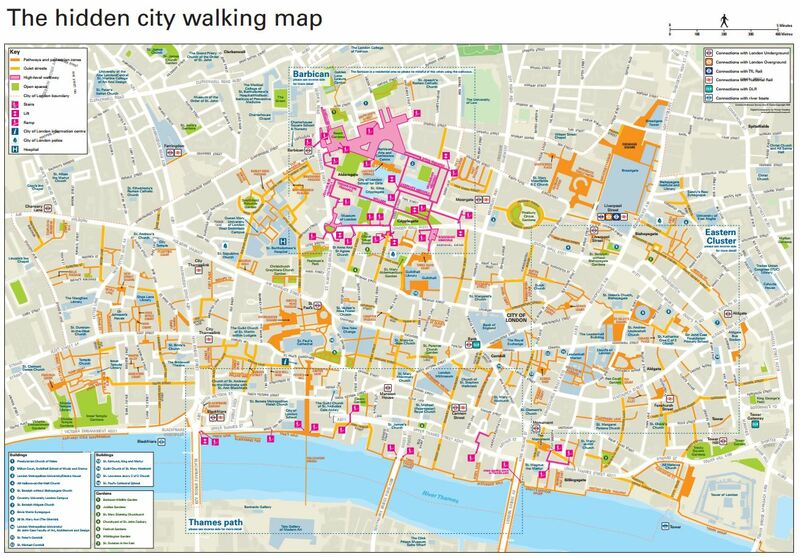 The City of London Corporation’s Active City Network has worked with the UK’s national walking charity Living Streets to develop a map of the City of London’s hidden walkways, including the network of high-level walks, which raise you high above the busy streets and traffic. Download the map and find a new route for your lunchtime walk, or a scenic route to work from the Tube station. The Active City Network is teaming up with Living Streets and Ramblers to run free led walks every Tuesday and Friday throughout May’s National Walking Month, as part of the Business Healthy Challenge 2018. Find out about how you can take part here.